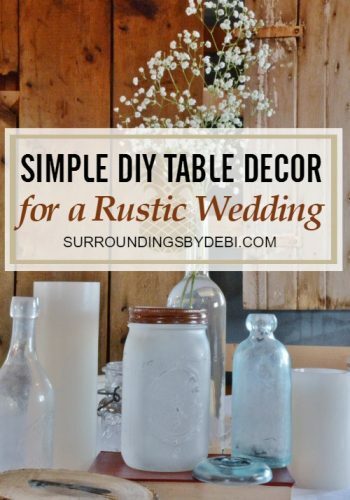 Have you ever had a look for your table arrangement you were trying to capture with your table décor and just couldn’t find the right accent dishes? Maybe for a special occasion or party? That’s exactly what happened to me. I had in my head an idea of just the plates I wanted but of course, I couldn’t find them anywhere. 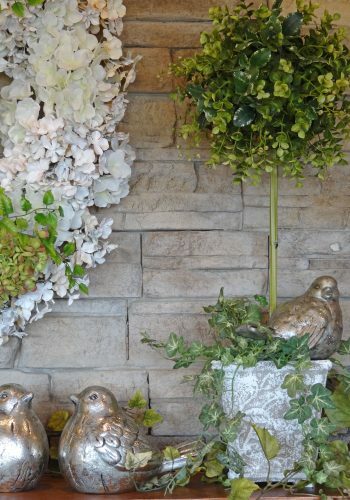 Just a simple spring look with a touch of soft green, but nowhere to be found. While visiting a fabric store, I found a fabric with a pattern that would have been perfect. That’s when my mind started whirling. Remembering those long ago days when I used to decoupage just about everything, I knew just how to create those plates I wanted. 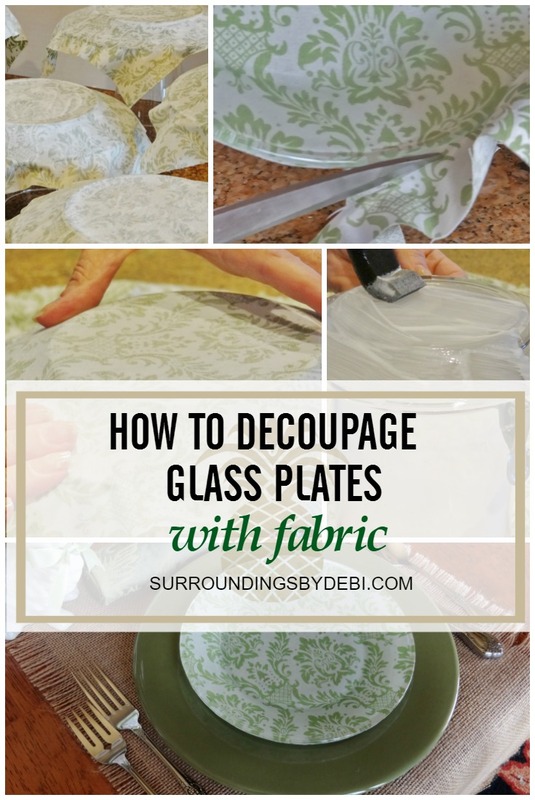 Here’s what you will need to decoupage glass plates with fabric. Begin by measuring the fabric to fit your plate. And cut into the proper size. 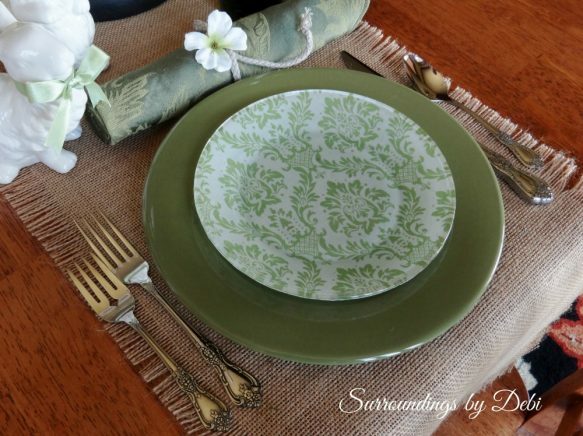 Add an even layer of Mod Podge over the back of your plate with your foam brush. 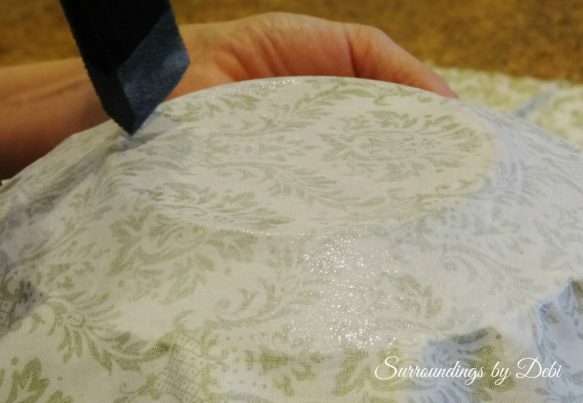 Center one of the fabric pieces over your plate with the printed side of the fabric facing down and smooth out the edges; working out air bubbles with your fingers as you go. 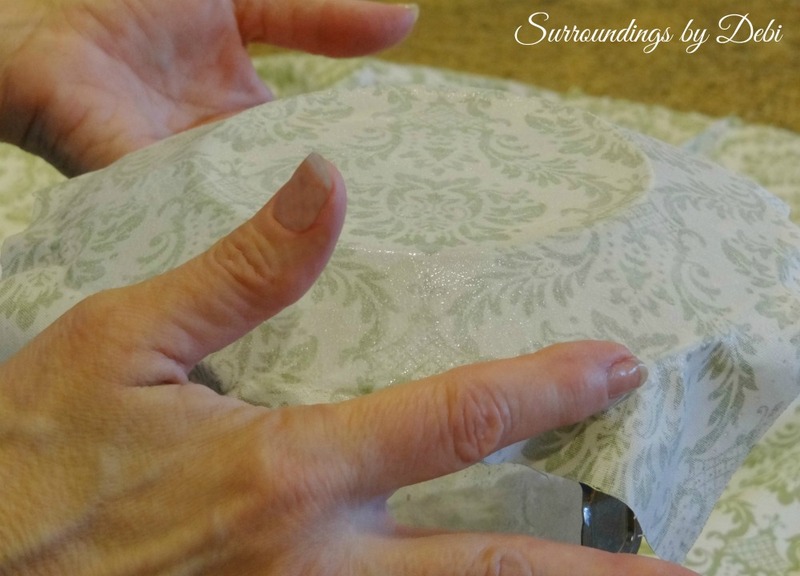 Brush another layer of Mod Podge evenly over the fabric you just placed on the plate. 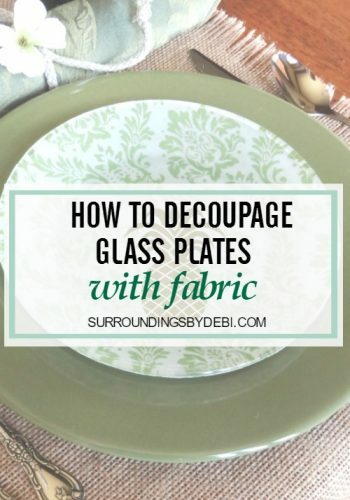 Place each plate on a glass and let them dry. It took my plates several hours to get completely dry. They actually weren’t completely dry until the next day. 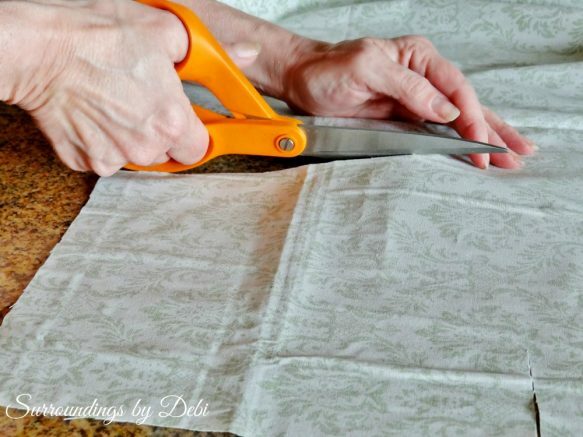 Once the plates are dry, trim the edges with a pair of sharp scissors. To protect the look of your plates, apply an acrylic spray to the back of the plates. I applied a couple of coats of the acrylic with a light sanding between coats. The tops are food safe by they aren’t dishwasher safe! When cleaning your plates – simply hand wash by wiping with warm water. 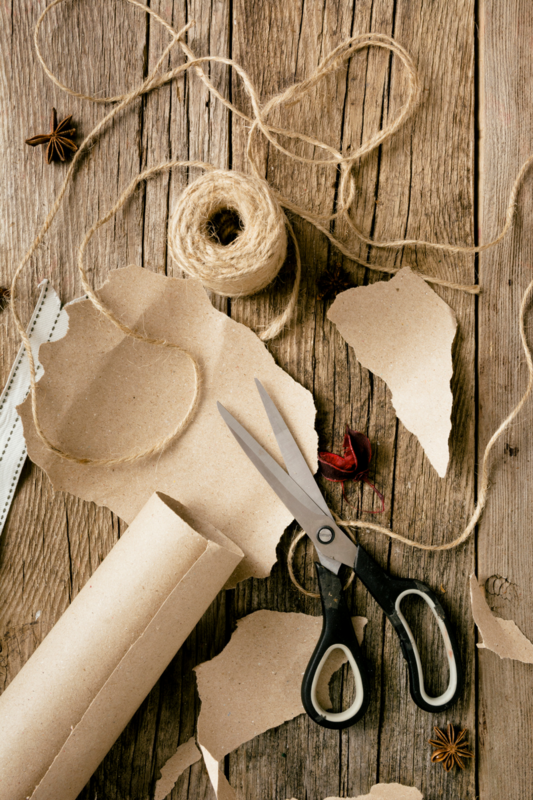 After al,l they are Hand-Crafted – by you! And there you have it! 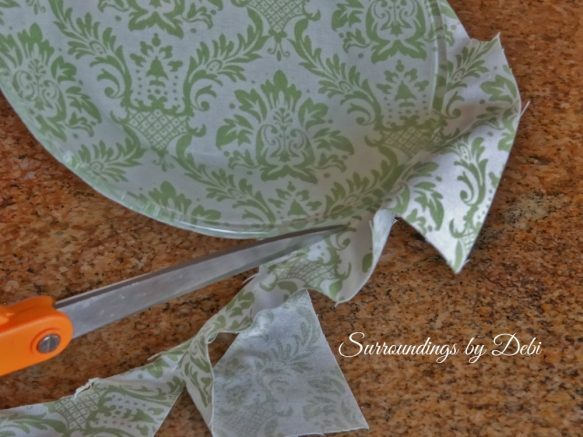 Beautiful plates in any pattern you desire. 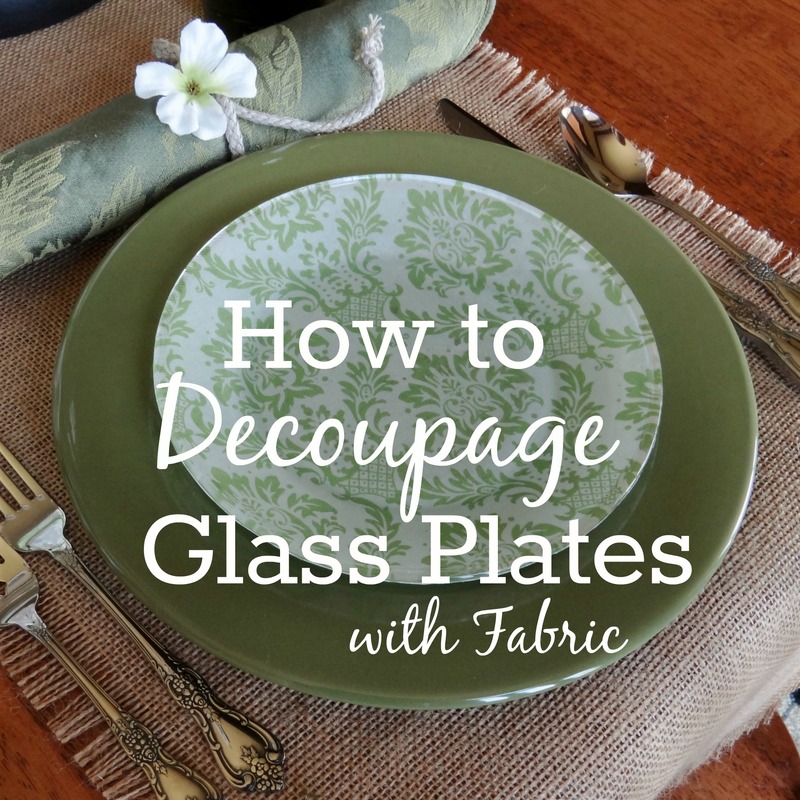 I’ve used these toile plates in several of my table arrangements. I love the special look they add and they accent so many colors. You can find examples HERE and HERE. 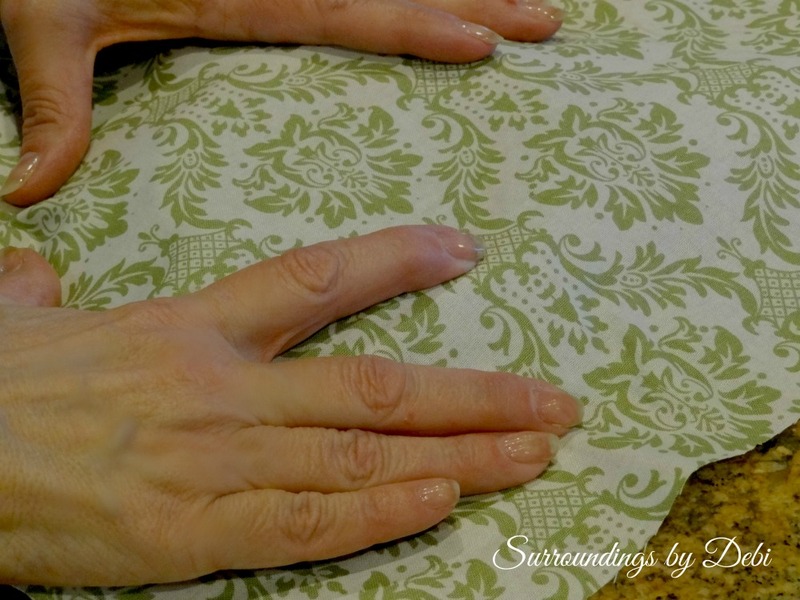 Now I am always on the lookout for fabric that I can use to create these special plates for holidays and other occasions. « Amazing Love – How can it be? I got several streaks showing on my black fabric. What did I do wrong? I also love the idea but, as several people have mentioned, my plates have streaks on them. What did I do wrong? Have streaks on the plate when they are dry. what must i do when i applying fabric and glue. I made my plates with holiday fabric, but am not happy with the end result. The rim of the plates look unfinished. Any suggestions? 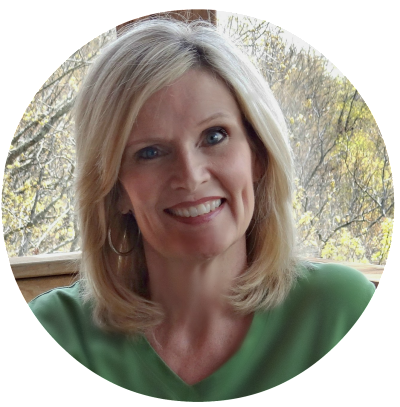 JoAnn – I am so sorry you had issues with the rim of your dishes. Were you able to trim them closely? Were the edges coming loose? What exactly was the problem and I will see if I can’t help you come up with a solution to help you out. 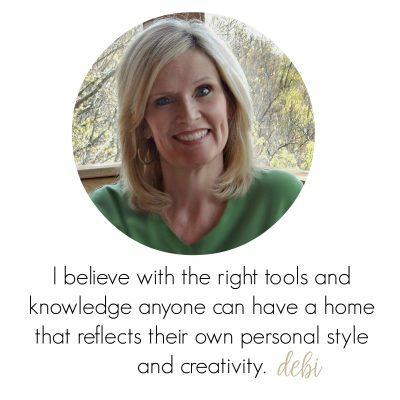 What an awesome idea Debi! I’m going to be on the lookout for those plates & fabric! Shared. Florence – I found the plates at a Dollar store or similar. They were sold in boxes of 4. I have also found some at thrift stores. I just picked up 6 large glass plates for $.50 at a thrift store last week. I can’t wait to use them on another project! Thank you for stopping by! I am trying this project tonight. I am making plates for a friends birthday. I bought some decoupage that is Dishwasher safe. 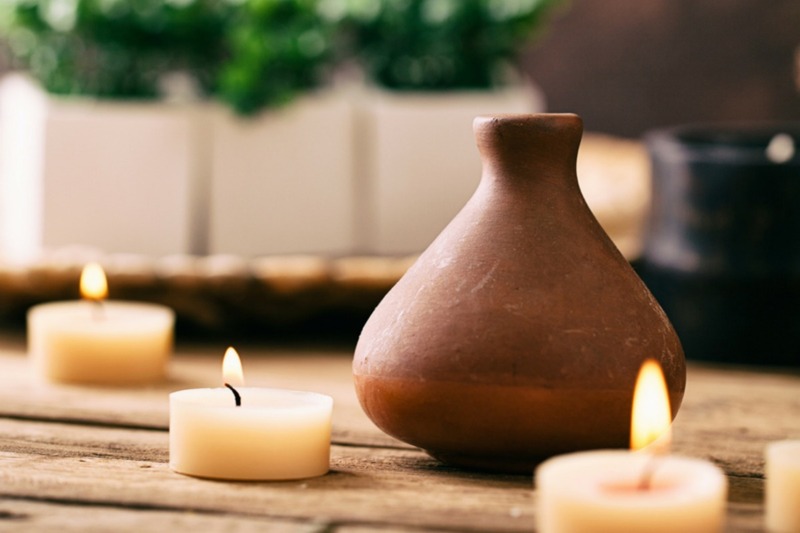 Have you ever used this and had success? 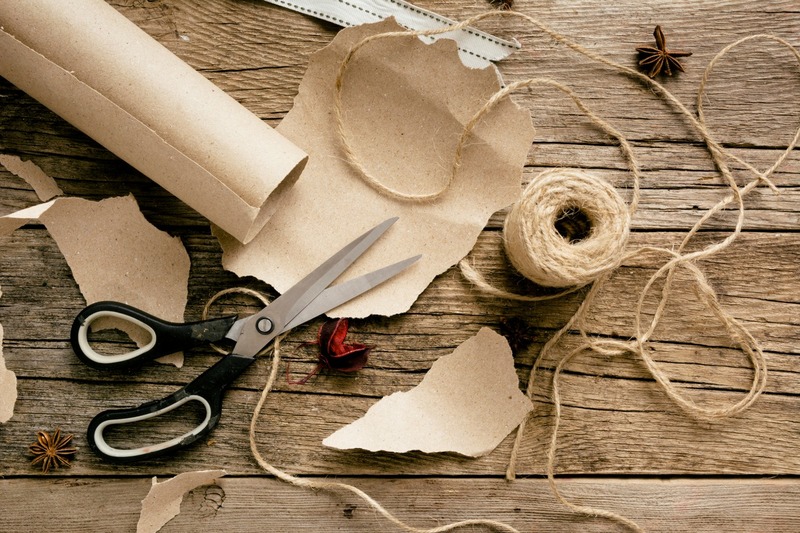 Leslie – I haven’t tried that decoupage. It sounds wonderful and like something I would love. Let me know how it works! Such a great idea!! Tried this and turned out pretty well except for several streaks. Any ideas what I did wrong? I made my plates! They turned out so pretty! 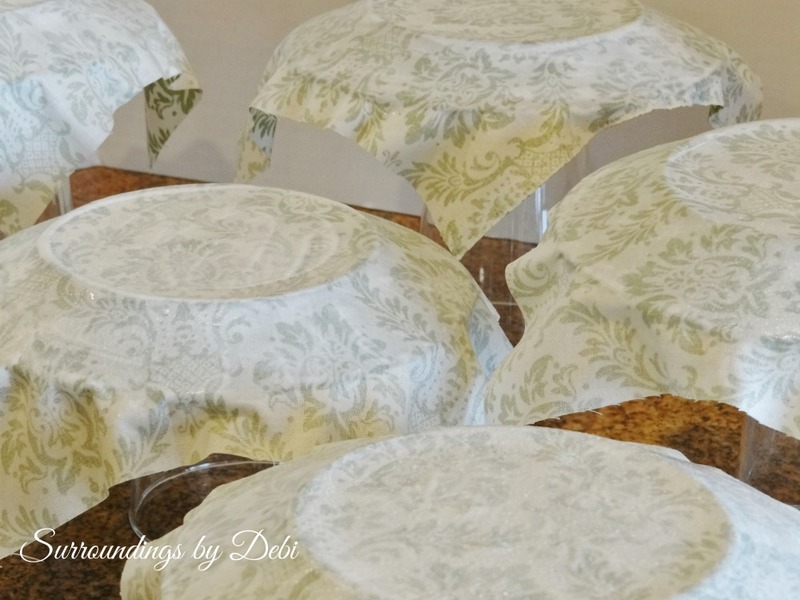 I used some leftover fabric that I had used on the back of my dinning room chairs. I plan on displaying my plates in my hutch. This is the 3rd tutorial of yours I have used. All 3 project you made very easy. I love them all! Thank you so very much!! Thank you Maria! I appreciate your party so much. Wow, you are so creative! The plates turned out so beautiful. Great job! 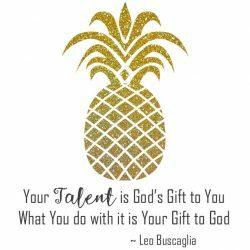 I’m here from the Thursday Favorite Things Blog Hop. Thanks for stopping by Brenda! Hope to see you again soon! Now this is an idea I’m definitely trying. Thanks so much for the inspiration. Thanks for stopping by Lulu. Let me know how your plates turn out!
! 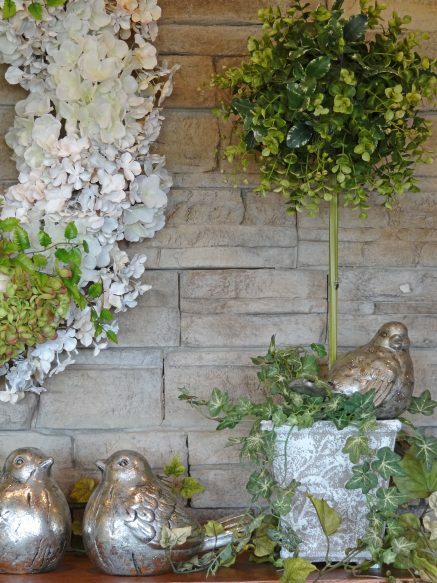 !so easy and most beautiful decor you bring to the web site! Thank you!! Thank you Dori! They were very easy. I can’t wait to make more! 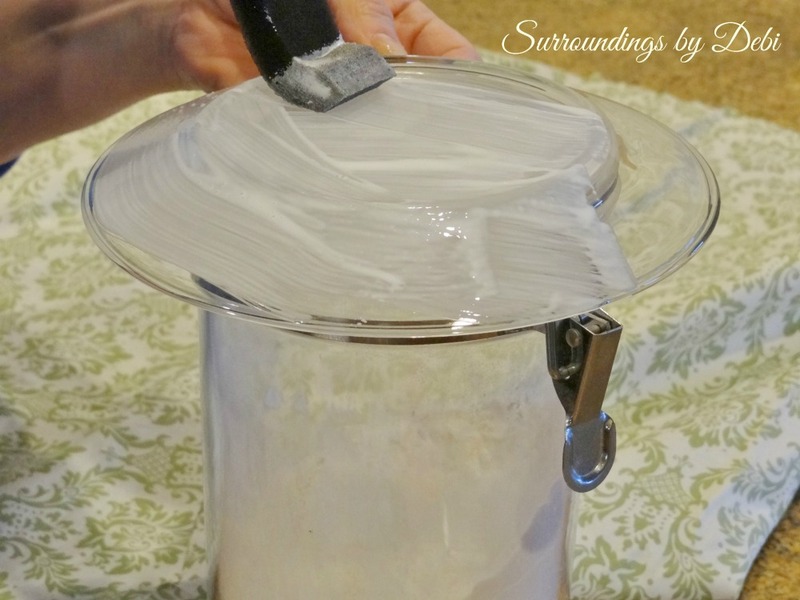 I am looking forward to trying this–thanks for the straight-forward tutorial! No problem Ruth Anne. 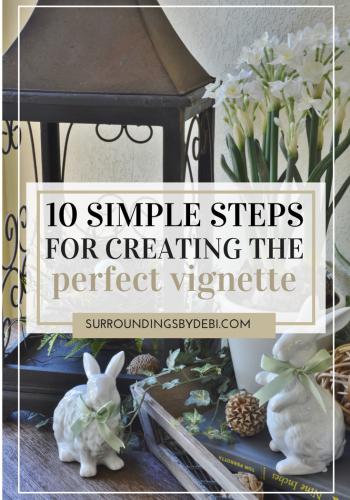 I love to go through the step by step process on my DIY projects. This is an awesome idea! I can’t wait to try it. Thanks! Kimberly – Good luck with your plates. Please let me know how they turn out. I love seeing the things others create! Marcia – let me know your results. I would love to see them. I am sure you could Lorna! 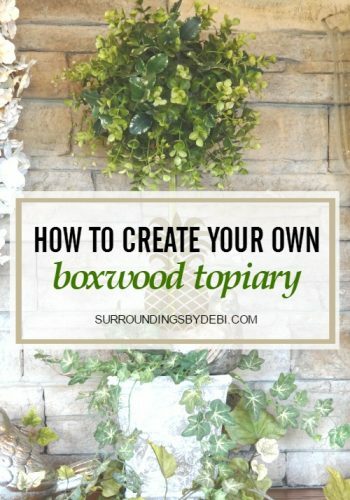 These are easy peasy! Thank you Rosie. You always give me great encouragement! I appreciate your visits more than you know! Happy Easter! Steve was most impressed by the cute green plates and he wanted me to tell you so.! Thanks girlfriend! And thank you Steve for the super comment. Coming from you it means a lot!